The story began in September 2015. Our founders were looking back on a summer well spent, but one frustration stuck out. The festival season had been a long one but the good times had come at a price. Sunglasses. The recurring dilemma; buy an expensive pair and never risk taking them anywhere, or buy a cheap pair knowing they will break before long. After counting the losses in 2015 alone the guys resolved to finding a solution. 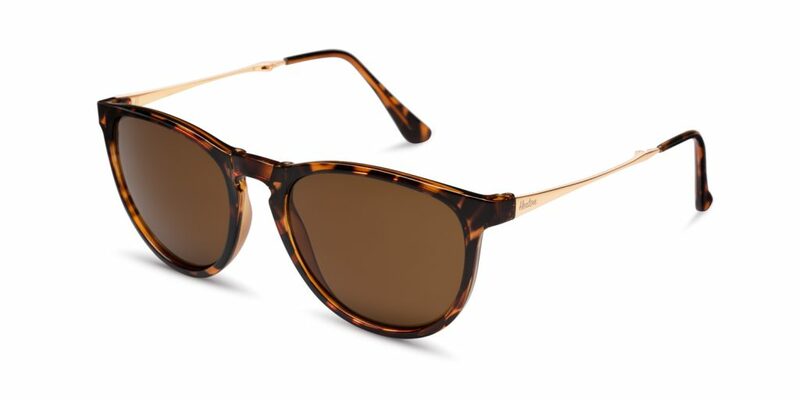 We quickly discovered and became obsessed with folding sunglasses, but the search for a stylish pair led only to overpriced brand names and poor quality imitations. 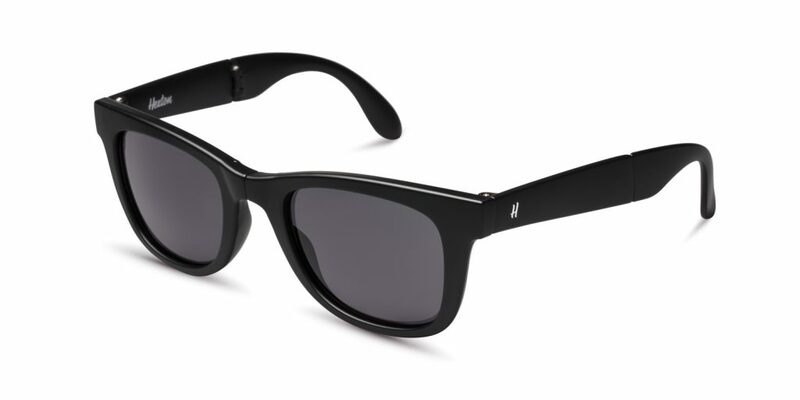 There was a space to be filled where other brands were lacking, and a chance to bring a great, affordable pair of folding sunglasses to the mainstream. In the two years that followed we spent time sourcing a quality supplier and refining our products until finally settling on designs that met our vision. Earlier this year we had our first 15 pairs made and over the summer they were sent around the world to be tested. Now, we ask for your help to get our first production run underway. We’ve sourced the best materials to create a great product. Designed in London, our frames are made from top quality polycarbonate and polyetherimide for strength, durability, look and feel. Each pair folds down for compact storage by it’s five hinge folding mechanism with aluminium screw hinges . We’ve styled with minimal branding for a sophisticated yet casual look for all occasions, with our logo engraved on the lens, embedded into the outside temple arm and printed on the nose bridge and inner temple arm. Each pair comes with a case to safely store your folded frames, and a microfibre cloth to keep them clean. 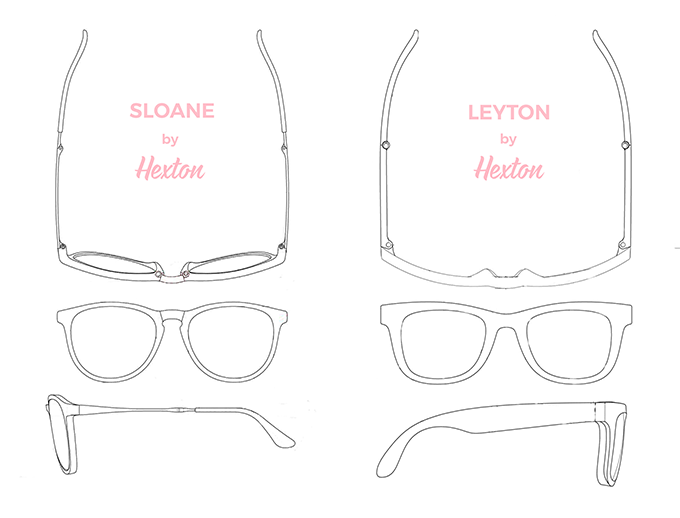 The Sloane by Hexton has a rounded, unisex style with it’s minimal folding design. Made with a strong polyetherimide frame, aluminium temple arms and available in Black and Tortoiseshell. It comes with a Hexton branded case and microfiber lens cloth. They are unisex and are the perfect fit for most faces with technical measurements of – width: 142mm, height: 50mm, length: 157mm. Our smoke grey or brown lenses are category 3 tint, scratch resistant and provide 100% UV400 protection. The Leyton by Hexton features a compact take on a classic style with it’s minimal folding design. Made with a polycarbonate frame, five aluminium screw hinges and available in Black and Tortoiseshell. It comes with a Hexton branded case and microfiber lens cloth. They are unisex and are the perfect fit for most faces with technical measurements of – width: 143mm, height: 48mm, length: 148mm. Our smoke grey or brown lenses are category 3 tint, scratch resistant and provide 100% UV400 protection. We are offering backers a 10% saving off the planned future RRP as an exclusive Kickstarter price. 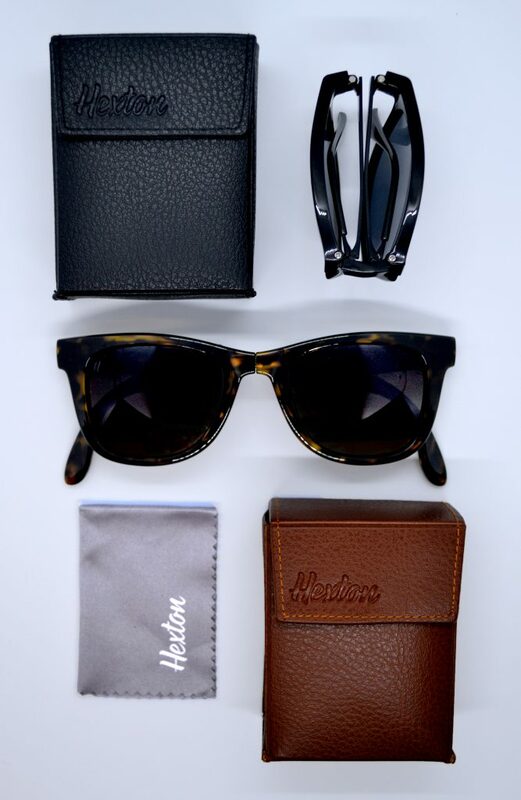 Every reward includes a pair of glasses, a pocket case, and a Hexton microfiber cloth. Your reward will be shipped to you safely in our Hexton branded packaging. If you wanted to back Hexton as a Christmas gift we will be sending a special backing gift card option, available to select once backed, in appreciation of our early adopters. Just request it on the survey received once you’ve backed the campaign. After refining our samples from our supplier, we are now in a position to make our first order. Suppliers and manufactures require a large and costly minimum order quantity per order, so it’s this lump sum which we are asking help for. With your help in the form of a backing pledge, we can meet our goal and make our companies very first order. We chose Kickstarter for the great community and products that are found here, and thought it was a best fit to share our product here with you first!